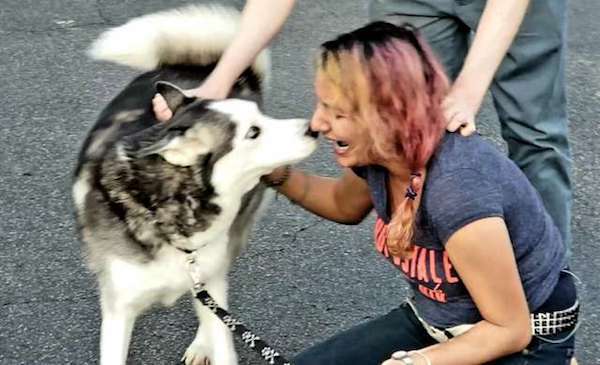 There were plenty of happy tears shed when a stolen Husky reunited with his family two years after he went missing. 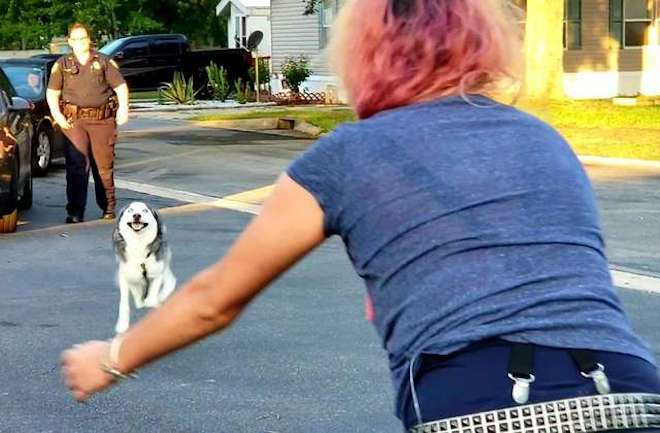 Semper the Siberian Husky was reunited with his mom, Kameroun Mares, but his return home was a long and arduous journey. Kameroun Mares was getting chemotherapy for acute lymphoblastic leukemia back in 2013 when she got Semper as a puppy. She named him Semper Fidelis — “Always faithful” in Latin, but a few years into her treatment, the unthinkable happened. In 2016, Kameroun traveled to California from Florida, leaving Semper in the care of her then roommate. But while out west she received word that Semper had gone missing. She searched everywhere, but he had vanished. She continued to search even as she lived in California, posting to the internet and continually calling rescues and shelters throughout Florida. She was hoping someone would find Semper and have him scanned as he had a microchip. She reached out to Ana Campos, a private investigator for more help. That’s when Campos learned something strange. Kameroun had registered Semper with AKC Reunite – a service connected to his microchip. “A year into this someone suggested she [Kameroun] check her AKC Reunite chip again. So she went to the humane society in May 2017 and they checked online … That is when she discovered that a year earlier, on April 11, 2016, a woman added her name to Semper’s chip,” Campos told The Dodo. The other microchip company didn’t bother to check to see whether Semper’s chip had an owner already registered on it. Campos dug further and found that someone had listed Semper on Craigslist for $200. That’s why Kameroun had never found him – he had been “flipped”. After a lawyer was retained, a judge ruled in Kameroun’s favor and Semper was retrieved from the person who bought him, and returned to Kameroun. Finally after 2.5 years of searching and hoping to find him, Kameroun was about to be reunited with Semper. Here is a video of that emotional moment.